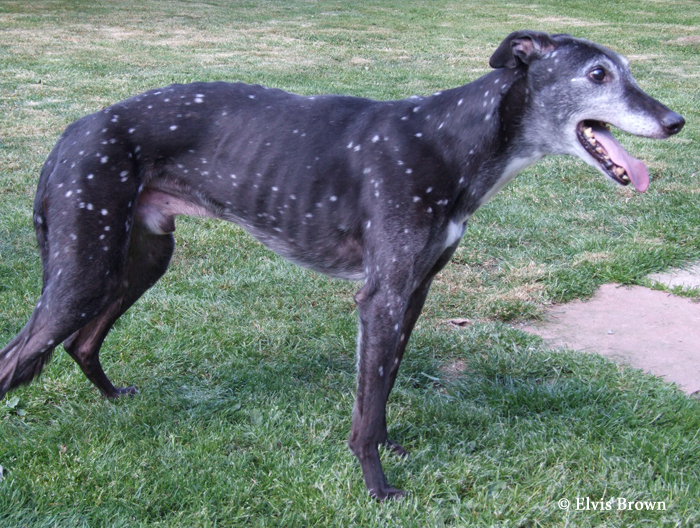 In the previous post, I included an image of a really interesting Greyhound with white dots on his coat. 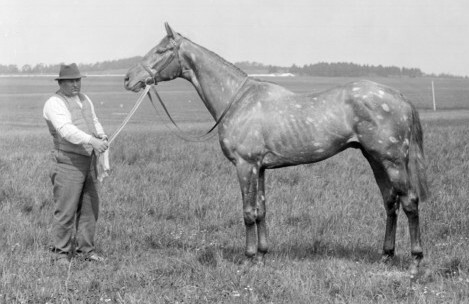 In horses, small white dots on a colored background are often called Birdcatcher Spots. They are not usually as large or as abundant as the spots on that particular dog, which is probably why they go unmentioned in most registry applications. The horse above is a good example of this kind of spotting. You might want to click on the image to get the larger version, and even then the small spots on his hindquarters, barrel and neck are easy to miss if you are not looking for them. Here is a close-up of some similar spots. Both the horse above and this one are Saddlebreds, where the trait is not uncommon. To my knowledge, there have not been formal studies on Birdcatcher Spots. My own experience has been that they are more often seen on chestnuts than any of the black-based colors. (A reader did share an image of a dark bay with very prominent white spots on our Facebook page back in late December.) The spots also seem to occur more often in the “thin-skinned” breeds with finer coats – breeds like Thoroughbreds, Arabians and Saddlebreds. 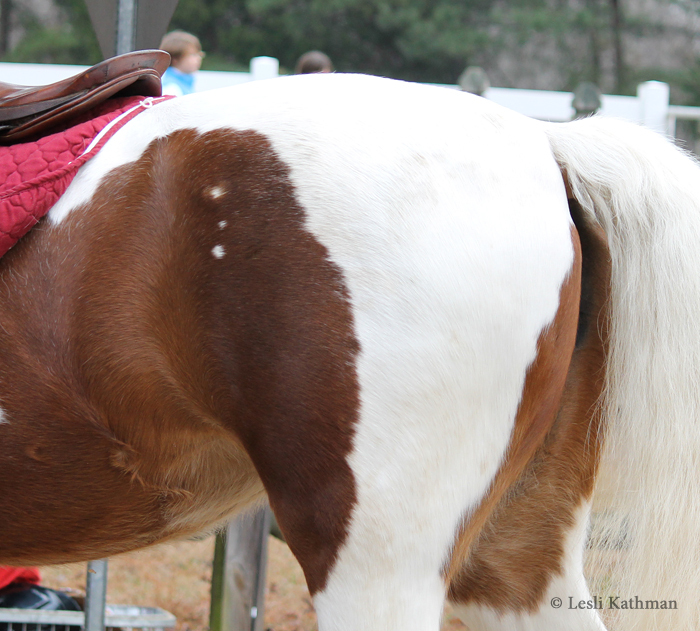 Some have noted that horses with these flecks are more prone to getting white hair growing back over skin abrasions. The horse above did have what appeared to be a few minor abrasions that were growing white hair. 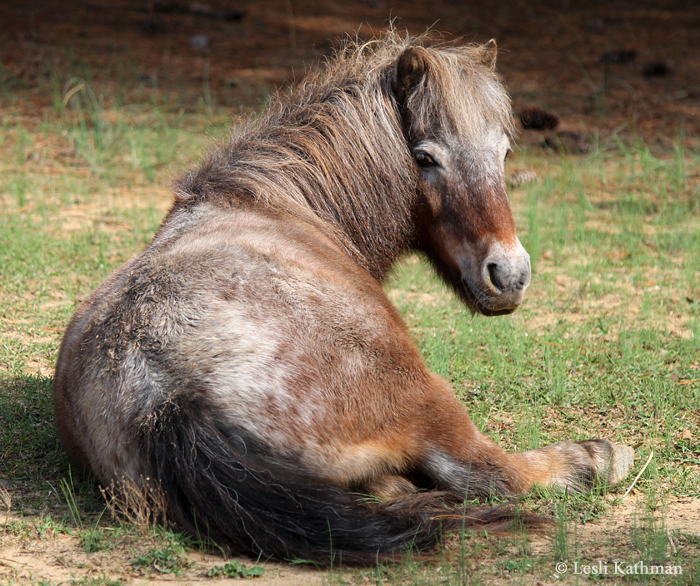 A similar tendency might also explain why some roans become covered in dark lines and specks, since injuries on roans tend to grow back with dark hair rather than white. Here is another instance of random white spots, this time on a tobiano. Although this fellow had roan hairs around the edges of his pattern, a bit like the horse at the top of this post, and he did have the kind of blaze that might suggest that one of the sabino patterns was present, these were the only round spots like this on his coat so they seemed almost out of place there. It seems likely that there are multiple causes, either environmental or genetic or some combination, that cause white spots. Reports of how the spots appear, and whether or not they are permanent, vary. 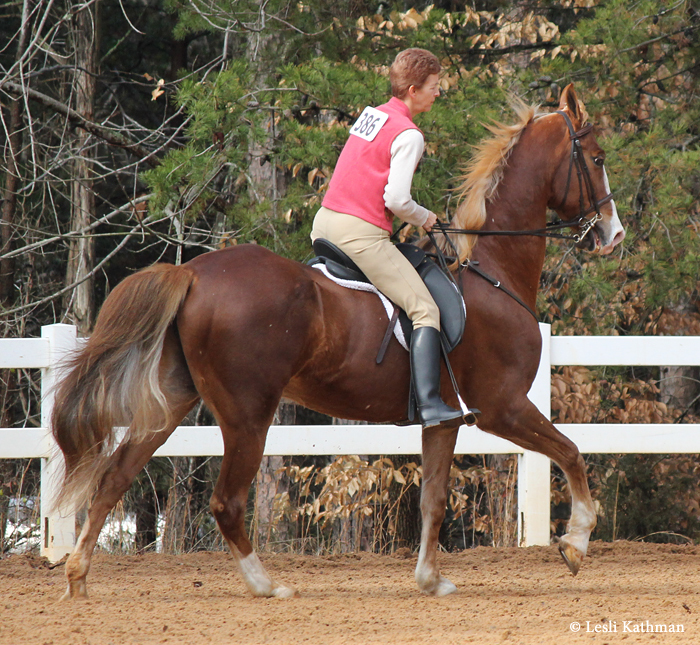 Some owners report that their horse was solid colored and then became spotted with a single shedding. Others report that the spots appeared over time. Some say the placement of the spots shift with each shedding. Still others seem to have spots that get progressively larger and more roaned over time. Unfortunately with subtle color variations like these, it is often hard to assemble enough information to draw firm conclusions. Elvis Brown posted this very interesting Greyhound to the blog’s Facebook page, and was kind enough to give me permission to share him here. Mr. Brown says he owned the dog from age three, and that he had always had the white spots, though at that time he was black. He is thirteen in this picture, and the greying is due to age. Mr. Brown also mentioned that someone from the Greyhound society had previously seen an Irish-bred Greyhound with a similar pattern. These are somewhat reminiscent of Tetrarch Spots – sometimes called chubari spotting – in horses. Those take their name from the famous Thoroughbred, The Tetrarch, who was well-known for the unusual white spots on his coat. His daughter Mumtaz Mahal and (to a lesser extent) granddaughter Mumtaz Begum were similarly marked. This kind of spotting in horses is associated with progressive greying, but progressive greying in dogs is different. In dogs grey is strongly associated with black pigment (eumelanin). It is most often seen in longhaired breeds, like the Bearded Collie, or in breeds that do not shed, like the Poodle and the Bedlington Terrier. Greyed dogs tend to be lightest where their hair is the longest, like on the topknot of some of the terriers, and darkest where the hair is short, like on the ears. This suggest that the hair loses pigment as it grows longer, rather than with each shed like a horse. Another interesting aspect of greying in dogs is that while it lightens black pigment, if the gene for black masking is present, it does not alter the black there. 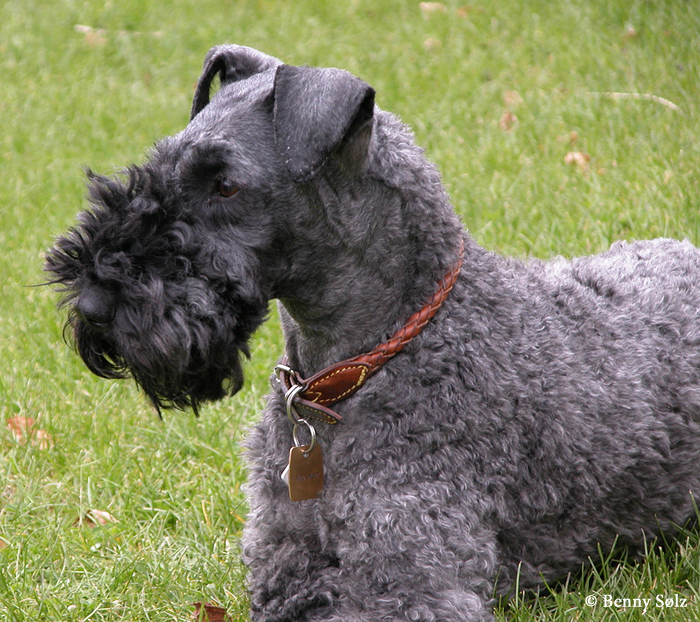 That is why Kerry Blue Terriers are born black and turn blue-grey while their face remains dark. The black mask, which would not otherwise be visible on a black dog, is revealed by the greying. Whatever caused the white ticking on this Greyhound, it does not sound like it is related to greying. In size and placement, the white spots actually look a bit more like Birdcatcher Spots, which are more common on red horses than black ones. Quite a few horse owners report those as increasing in number with age, so they could be considered progressive, though the various kinds of white ticking in horses is another under-researched topic. 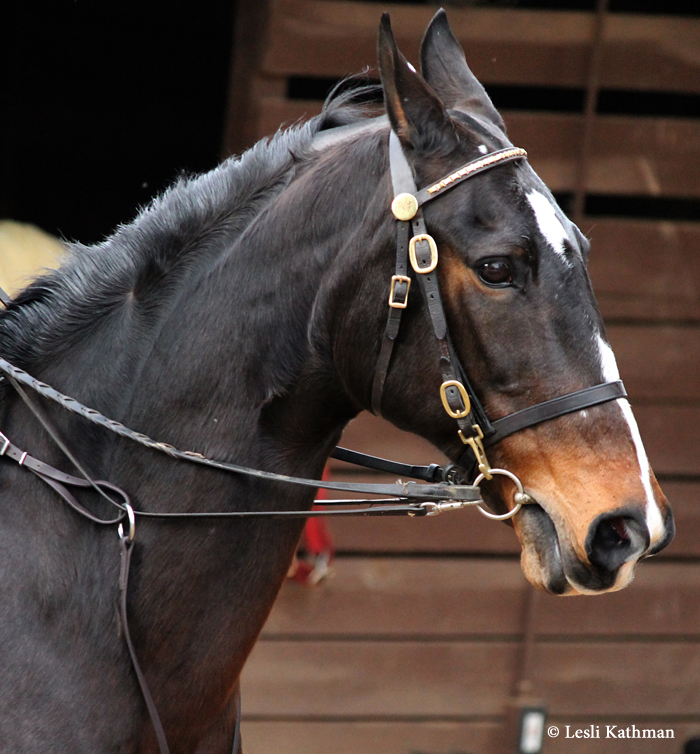 I have some images to post for that, as well as an update on a related horse from a previous post, for tomorrow. I want to thank everyone who provided links and information on horses like the one in the previous post. I encourage those interested in this to read the comments section, where there are more foals with these types of markings. There are also comments on the Equine Tapestry Facebook page. Because some readers have had difficulty with WordPress comments (or links in them), I have gone ahead and put together a Pinterest board with some of the links in the comments. That can be found here. It does seem likely that this is linked to the smoky cream color, which is a genetically black horse with two copies of the cream dilution. It also appears that most of these foals either lose the markings with age, or at least lose the strong contrast. Someone also shared a classic champagne foal with similar markings, which also faded with age. Classic champagnes are also genetically black. This ties in with some questions I have had about how cream interacts oddly with the sooty pattern. I have been assembling photos for that post for a while now, and will try to get that up in the next few weeks. I have seen a few double-dilute foals with unusual dark patches recently, so I was happy when Jess Aisthorpe gave me permission to run the images she took of her day-old cream dilute filly. The patches on her body are not from being wet or dirty, but are a deeper color than the rest of her coat. The largest area of dark hair covers her left shoulder, but she has smaller patches on both sides of her body and her face. Her markings are very similar to those found on the smoky cream Morgan, Prairie Hill Apache. To date, the other examples of these darker cream patches that I have seen have all been on black-based double creams. 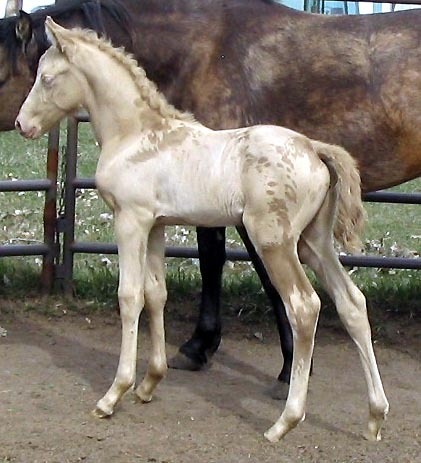 The color on Jess’ filly is not yet known, but she has a buckskin sire and a grey dam with a palomino grandsire, so it is possible that she is a perlino or smoky cream. 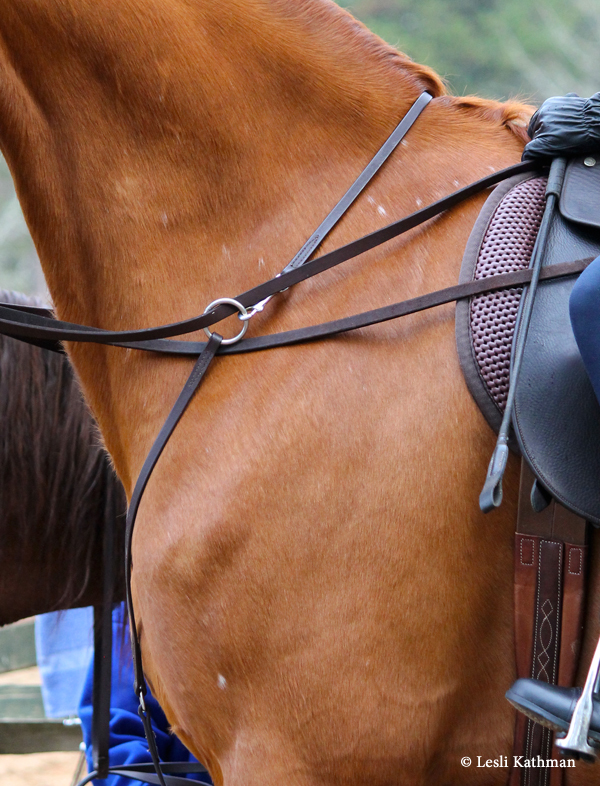 It would be interesting to know if markings like these are visible – and a pronounced – when the horse is mature. So far the examples I have seen were all in very young foals. If you have experience with double-dilutes with markings like these, please share them. 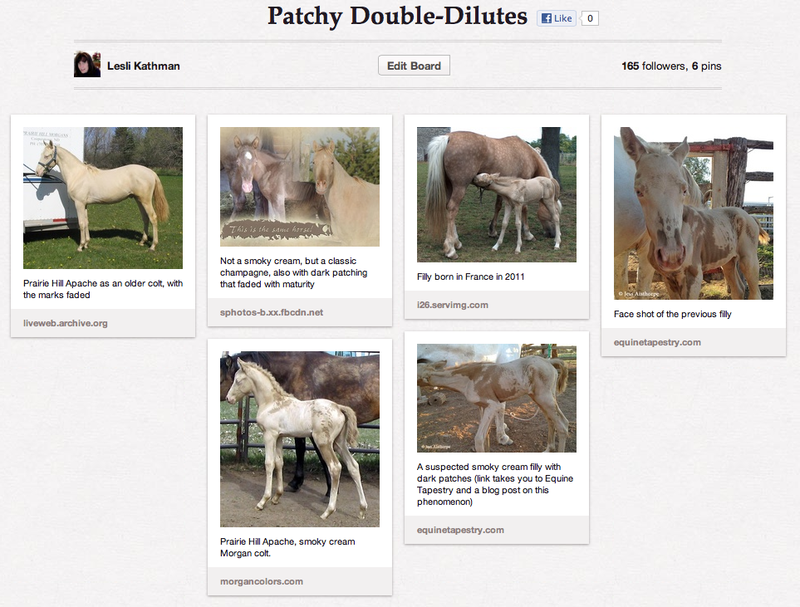 It would be interesting to see more examples, especially if there are both foal and adult photos. I finished sculpting this tile just as I began work on the first volume of Equine Tapestry. Little did I know that its title, “Inspire”, would be so appropriate for the next phase of my life. In the process of writing and publishing the book, I have learned so much, and met so many interesting people, that it would be hard not to be inspired! With that in mind, I wanted to give at least a bit of an update on what will be happening on the horse color side of things in 2013. My original plan, once the first book was published, was to go back to the studio and finish the many projects that were set aside to focus on the book. I did not count on the fact that once out there, the book – and this blog – might take me in new directions. I am still working on finding the right balance between researching, writing and studio work. And amidst all this, the technology on the publishing side of things has been changing. I am far more accustomed to planning according to the pace at which ceramic technology changes – which is to say, not much at all! – than that of electronic publishing. Some of the limitations that determined my choices when I began work on Volume I are no longer there, while some of the other avenues that seemed so promising have proven to be less than they seemed. As a result, some of my publishing plans have changed. The most common comment I received about Volume I was that people wished it was in color. When I began the project, my original printer offered color, but I was extremely disappointed in the quality and consistency of their color. Proofs that should have immediately been caught as being unacceptably off were common, while the cost was high enough to place the book out of the range for many readers. Issues with cost and print quality caused me to switch to a second printer which (at that time) did not offer full-color books as an option. While I would have liked to publish the book in color, the lack of it was designed into the book. Because so much of the book was about historical animals, many of the images were black and white from the start. I was confident that for the front matter, which had the color descriptions, I could select photos that translated well enough in black and white. What I did not take into account was that the book, although written to talk about color in the context of breed history, would be the most current in a field that has been rapidly changing. The front matter, “Color Descriptions”, was just supposed to get readers on the same page so that when the different breeds were discussed, the colors mentioned would make sense. What many readers relayed to me was that the front half of the book was like a book within a book. It was also this portion of the book that the lack of color was most keenly noticed. That was on my mind this past fall, when I found a printer that could provide full color at a reasonable price. At first I intended to just reissue Volume I in full color, but as I worked on the redesign, it really struck me how the compromises I made for the material to work in black and white no longer applied. Images that I had left out because they did not provide real information without color could be included. The temptation to include whole spreads of color images was there. Only now my limitation was not the lack of color, but the new printer’s page limits. And so a new idea took shape: a color supplement to the series. So work is underway for Equine Tapestry: An Introduction to Colors and Patterns. This will be an expanded version of the front half of Volume I, with more detailed information, particularly on some of combination colors and the lesser-known variations that are either left out or only covered in passing in the first book. It will also be more extensively illustrated with full-color photos and illustrations. The target is to have the new book available in the spring of 2013. Until I have a final page count, I will not have a price, but my goal is to keep it around $35.00. What About the Kindle Version? As many of you know, my original plan to work around the color problem was to release the book for the Kindle. Original tests done using my own Kindle made this seem like the most promising solution. Unfortunately I have never been able to repeat those same results since those early tests. I ran up against serious degradation of the photos and the captions, even though this was not an issue when I had tested them several months prior. Because all the translation is done through Amazon, and not in-house, I was at a loss for what caused the change. On the heels of that issue came the warning that Amazon had a surcharge for downloading image-intensive books that was passed along to authors. What seemed like an easy answer was less appealing than it originally appeared, especially given that there was going to be a significant learning curve for me to translate the book. As a result, the electronic version was placed on hold, at least for the time being. That is not to say there will not eventually be an electronic version. I have been given some good leads on how to sell PDF downloads directly from my own site, which many have inquired about in the past. I have also been experimenting with the Apple-based iBooks as well, though I am not sure how widespread devices like the iPad are among potential readers. At the moment electronic formats are taking a back seat to getting files ready for traditional print, but if I can find a system that works for both me and for readers, I will move forward with it. One of the most surprising aspects of writing the book is how often I am now asked to write. I still think of myself as a potter who likes to talk about horse color, and not truly a writer, even though I have been writing on and off for various publications for decades now. Those requests have gotten a lot more frequent in the last year, which in part explains the gaps of silence here on the blog. Even a prolific chatterer like me only has so much they can say, even about their favorite subject, on any given day! I hope to integrate these projects a little more seamlessly into my other commitments over the next year, though I suspect these interruptions will continue to some extent. I will link to published pieces as they arise. One thing I hope to improve on the blog is a more timely response to submissions. At the top of this list is the Splashed White Project, which migrated over to my website, but has not yet been fully launched. I will also be working my way through my shamefully backlogged inbox, so if you get a reply after waiting forever, you will know why. In the meantime, I wish all of you a happy – and colorful! – New Year!